Ormsgill Wood is set in a peaceful spot close to Malham in the south of the Yorkshire Dales National Park, with fantastic views across Malhamdale. Ormsgill Wood is a short distance from the village of Airton in a peaceful area of open countryside with views across Malhamdale. Streams run throughout the Ormsgill woodland site (headwaters of the river Aire) so species planted are appropriate for wetland areas. These native tree species now form a series of new gill woodlands which also provide habitat suitable for black grouse. 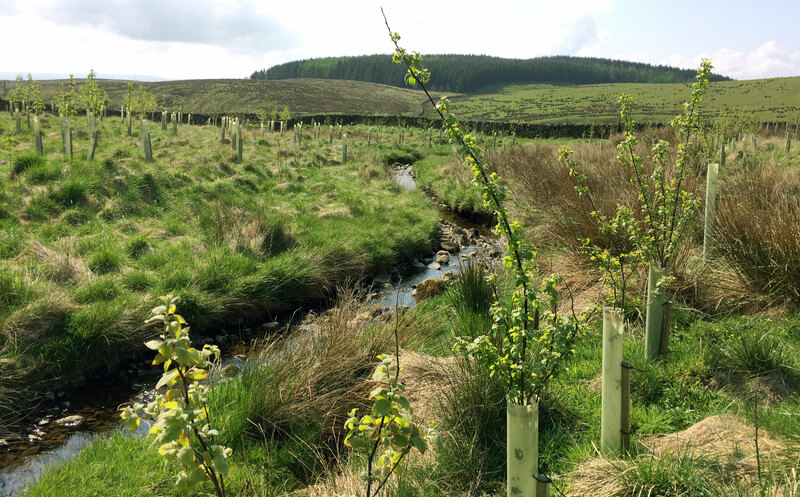 20,510 trees are planted in total including: Downy Birch, Silver Birch, Rowan, Hazel, Bird Cherry, Sessile Oak, Goat Willow and Hawthorn. The woodland is situated on private land – there are footpaths which cross the area offering good views of the young woodland.